The Everest Base Camp Trek guide gives you all the required information about Everest Base Camp Trek. 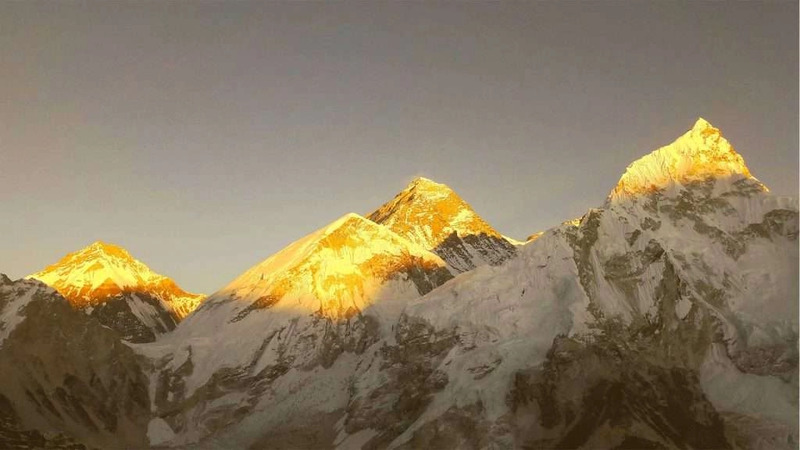 The Everest Base Camp Trek is one of the most famous trekking journeys in the country. Nepal is renowned as “the Land of the Himalayas.” Moreover, albeit its relatively small, the country has the encompassment of a wide range of diversities that pertain to geography, culture, and wildlife. Among the ten tallest mountains in the world, Nepal has 8 of them, including Mount Everest- the tallest mountain on the planet. Trekking in Nepal has become one of the most sought-after adventures to do among enthusiastic travelers and trekkers all over the world. The area has many fantastic trekking destinations that vary from each other regarding topography, their cultural prominence, and landscape. Anyone trekking to Nepal needs to purchase a TIMS card except if you are traveling to restricted areas. In that case, the permit will be adequate. Every year, thousands of trekkers and travelers, visit the country to enjoy its many natural, cultural and traditional hallmarks. Among all the trekking destinations of Nepal, the Everest region is considered the most famous, and the Everest base camp trek is the most widely made trekking journey responsible for a large portion of revenue generations in the tourism. One would think that trekking to the Everest base camp is something that requires much effort and money, but that cannot be much farther than the truth. Everest base camp trek is cheap, affordable to do, саn be did always of the year and by people of all demographics. Although, it is possible to do a novice first-time trekkers as well as experienced mountaineers. Anyone trekking to Nepal needs to purchase a TIMS card except if you are traveling to restricted areas. In that case, the permit will be adequate. TIMS card charges $10 when you are going through the company and $20 if you are traveling independently. Before starting your entire trek, it is necessary to purchase Everest national Park Entrance fee which price almost $30/ person. The journey to the Everest Base Camp Trek is a great opportunity to experience the Everest region’s (also called the Khumbu). Many amazing features and aspects, like rich Sherpa culture, beautiful mountainous landscape brimming with river valleys, moraines, glaciers and magnificent views that consists of some of the tallest mountains on the planet. The Khumbu is a mainly Sherpa settlement of Nepal. The region is a very rich and dense concentration of Sherpa tradition and practices that are not found anywhere else in the country. The legendary Sherpa people are also famous for their mountain-climbing ability and their agility in the Himalayas. As the indigenous mountain people mostly follow a unique form of Buddhism. 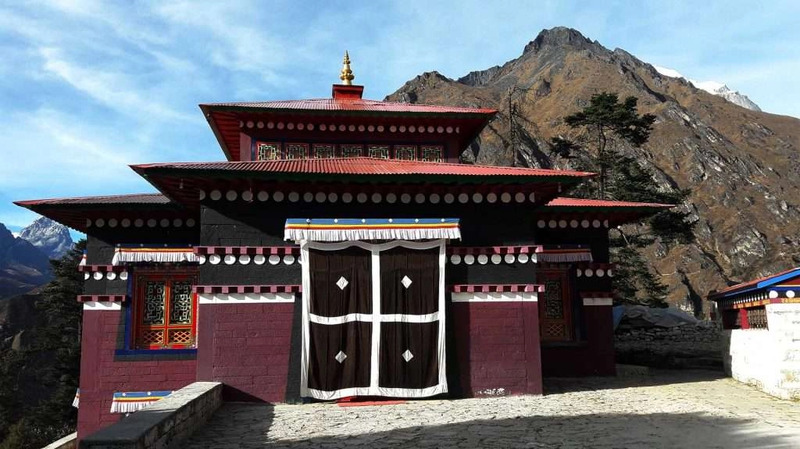 The Khumbu region ornamented with many Tsortens, monasteries, prayer flags and Mani wall carvings. Hence, you may find relatives trekking holidays on Everest Base Camp Travel guide. Let’s plan your holiday now: and get custom itineraries and program. The trekking trail of the Everest base camp trek goes through numerous villages of the Khumbu and follows significant mountain rivers that drain the region. Additionally, the path to the base camp decorated with alpine forests, and pastures in the lowlands and snowy acreages as the elevation rises. The views of the cerulean mountain like the Ama Dablam, Lhotse, Nuptse, Changtse, Thamserku, Kongdi Ri and many more are also a constant presence as one trek on the fantastic trail that goes through the heart of the Himalayan region. The journey to the Everest Base Camp Trek usually starts with a flight from Kathmandu to Lukla. A plane takes about 30 to 40 minutes and is considered as one of the most dramatic short flight on Earth. 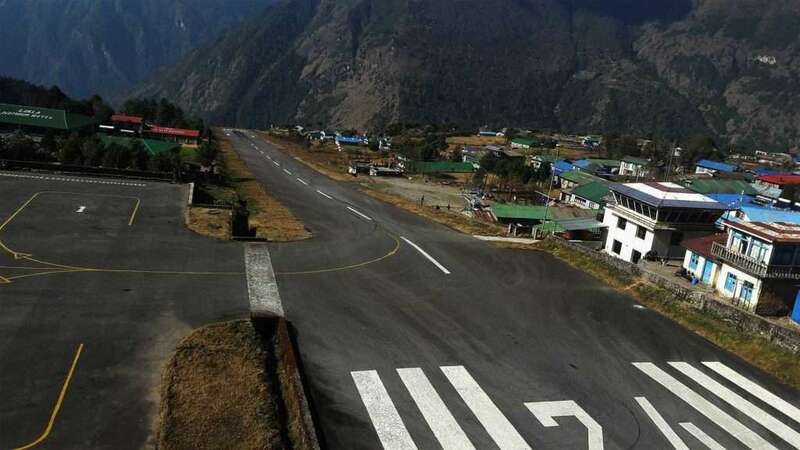 The Lukla Airport is also a very fascinating airport and has a single runway that drops off to gaping open valley below as the runway ends. The terrain at Lukla is quite different from Kathmandu. This change is felt immediately as one lands at Lukla. From the village of Lukla, the trekking trail then proceeds to go through villages like Phakding Monjo into the Sagarmatha national park. Likewise, Namche Bazaar, Tengboche, Dingboche and Gorakshep before reaching the Everest base camp. Generally, the trekking journey lasts for two weeks. But this duration may vary accroding to the trekker’s requirements and conveniences. The duration from one place to another place takes about five to six hours as the distance between two consecutive villages. Acclimatization to the high-altitude terrain is usually doing in the famous Namche Bazaar and Dingboche. The trek can do at any time of the year and is available to do throughout the year. Nepal mainly experiences 4 seasons. The autumn (September to December), spring (March to May), winter (the end of December to February) and summer (June to August). 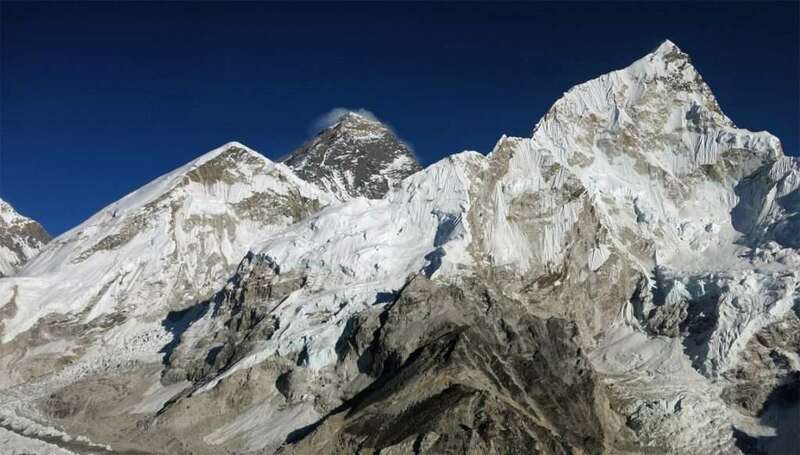 The autumn and the spring seasons are considered the best seasons for the Everest base camp trek because the weather conditions during these months are vastly favorable and suitable. The clouds tend to dissipate, and the views of the mountains are so clear. Summer and winter are not ideal for trekking, but the trek can still go through with. The monsoon occurs in the summer months and trekking trails become muddy and slippery with the constant rain. The sights of the mountains are also not as clear as the autumn or spring seasons. In the winter, high passes in the Himalayas tend to become blocked due to heavy snow. The region experiences extremely cold temperatures. That is why autumn and spring are considered the busiest trekking seasons. As most of the trekkers to Everest region arrive during this time and hotels and plane tickets become booked quickly. 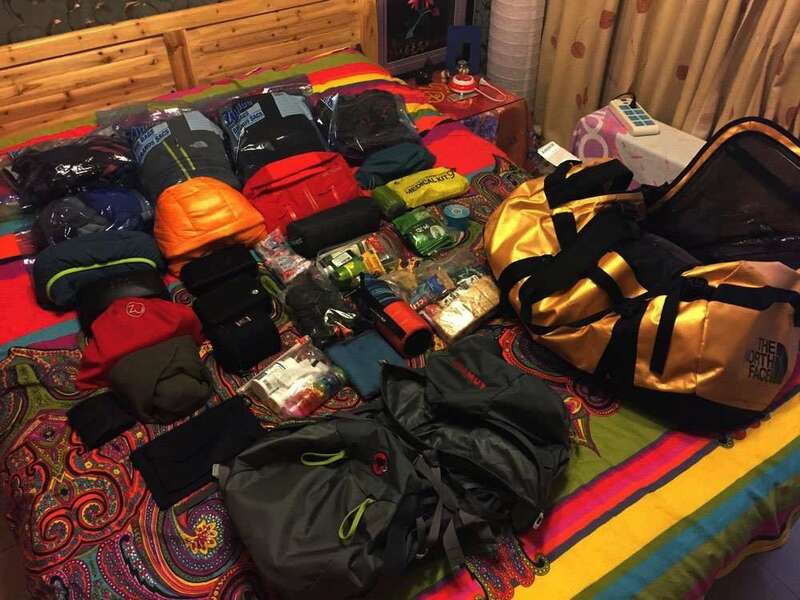 Essential trekking equipment for the Everest Base Camp Trek includes proper trekking boots, sleeping bag, duffle bags, hiking poles, and appropriate walking clothes. It is equally essential to have trekking boots that you are comfortable with and have “broken into”. Trekking in boots that you are not comfortable in can result in blisters on the foot and just an unpleasant trip constantly ruined by the feel of uncomfortable boots in the mountainous terrain. So, having good and comfortable trekking boots is important. It is also highly recommended to pack as light as possible. Packing lightly will result in fewer hassles and chances of things. In the mountains, porters are generally hiring for carrying duffle bags. A porter can carry up to 20 kilograms of weight between two people. So, packing a duffle bag that does not exceed the weight of more than 10 kg is the most appropriate way to go. Hotels in Kathmandu is also providing services of safety storage lockers where you саn store your excess luggage not necessary for the trek. Kathmandu has a wide range of hotels ranging from three-star to five-star categories. 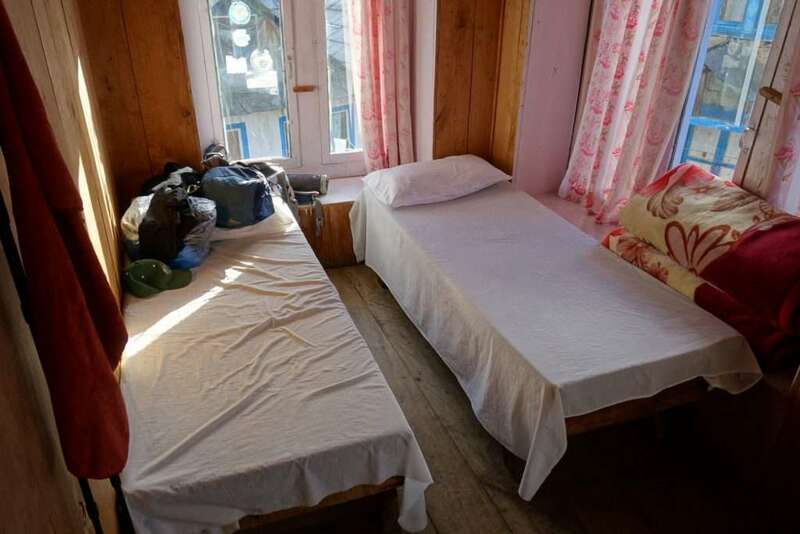 Once the trek commences, the availability of the accommodations in the mountains can limit to guesthouses, tea-houses that offer more services. But the rest of the places present basic accommodations. That is not to say that the accommodations are not comfortable. Generally, the guesthouses and the lodges are very comfortable, and breakfast and dinner will serve there. Generally, twin-sharing lodge to lodge accommodations is available in the mountains. The trekkers are sometimes required to share the room with other trekkers (of the same gender). Electricity is available at all lodges and some even have the Wi-Fi services. Laundry services are not available, except at Namche, Lukla, and Phakding and the extra amount will apply for using hot water. Regarding meals, both vegetarian, and non-vegetarian meals are available. Breakfast in the guesthouses саn differ from oats, toasts, eggs, pancakes, and juice to dumpling, noodles, and pasta. 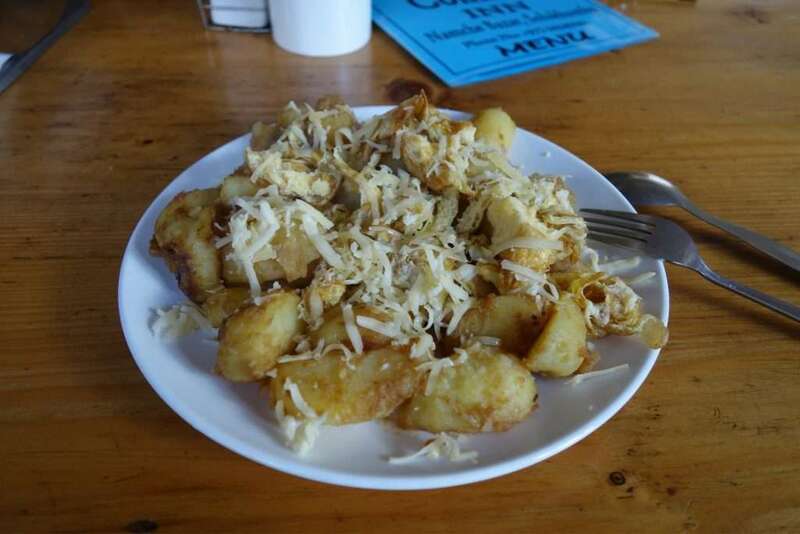 For dinner, trekkers generally have rice and vegetables. Lunch will serve along the journey from one destination to another in the afternoon. Drinking water is possible to buy from the shops in the mountains. The cost of a liter of water during trekking is about USD 100 or 150. Trekkers can also bring water-purifying tablets with them. The method is the best for drinking water because it is less harmful to the environment as opposed to buying plastic water bottles. It is easier to carry and execute. There are many springs, wells, and pumps in the villages. And filling up the bottle and purifying it with the tablet makes it appropriate for drinking. It is important to know that the tap waters are not suitable for direct consumption. Although, using precautionary measures like water-purifying tablets are necessary before consuming the water during trekking. Altitude sickness is a condition of the body. It occurs when the body is not able to adjust to the high-altitude conditions in the mountains. The occurrence of this sickness varies from person to person. If the symptoms of the sickness are not taken care of properly, the condition саn even turn dangerous. That is why having proper and enough acclimatization time is vital while trekking to let the body adjust to the altitude difference. Continuing through the trek without properly acclimatizing is harmful, especially for novice trekkers. Some of the symptoms of the sickness include a headache, loss of sleep and appetite. It is important to stay properly hydrated while trekking and eating contently for energy. Going slow and steady in your own comfortable pacing is recommended. The medicines like Diamox help to prevent the sickness. Some trekkers even take the medicine from the very beginning of the trek from Kathmandu itself. If the symptoms of the sickness occur and one can’t continue further on. Then, it is advised to stay and rest until one feels better before continuing on. There are many money exchange centers in Kathmandu where you can exchange foreign currency. Taking foreign currency in the mountains is not advisable because it can prove to be a hassle. Instead, exchanging money before the trek starts is the best way to avoid unnecessary hassles while trekking. Local currency also lets one buy things and pay for services in the mountains easily. 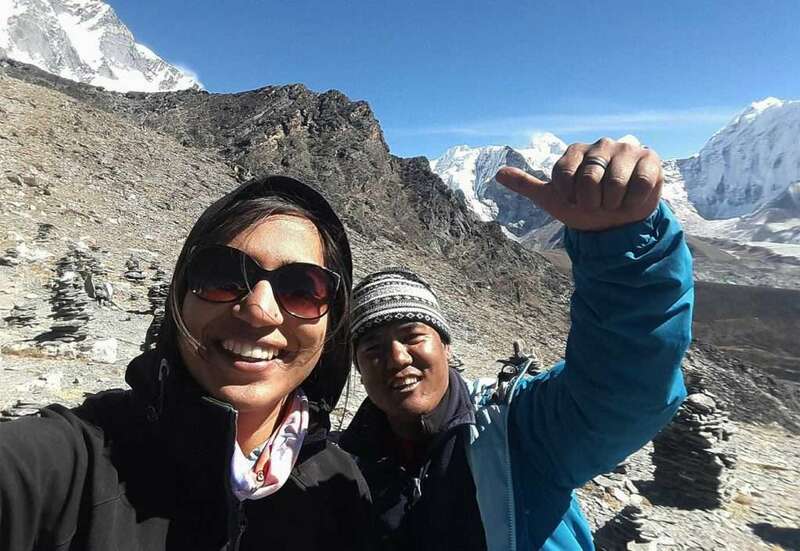 The Everest Base Camp Trek is a journey that takes trekkers out of their comfort zone. But that is one of its many appeals. The journey contains many highlights as well, like the vantage point of Kalapathar which is famous for its panoramic view of the entire Mount Everest massif. Moreover, the holy Tengboche monastery, the Khumbu glacier, and icefall. 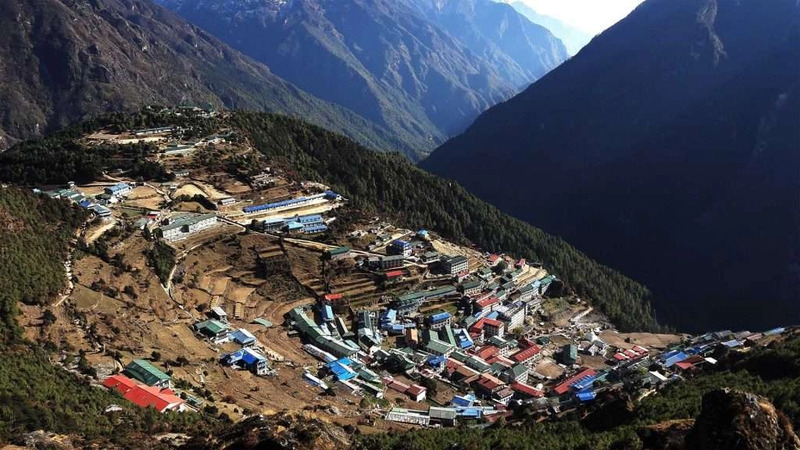 Similarly, the town of Namche Bazaar also referred to as “the Gateway to Everest”, the Sagarmatha national park, verdant rhododendron forests and of course- the Himalayas. It is a great way to observe Sherpa culture and to enjoy the mountainous landscape of the Khumbu. It is a journey that must do at least once in life!